Powell was the son of Jamaican immigrants and grew up in Harlem and the Bronx. He joined the army after graduating from the City College of New York in 1958, served two tours in Vietnam, then had a series of political positions in the White House and Pentagon. President Ronald Reagan appointed Powell deputy director of the Office of Management and Budget in 1987, and in 1989 President George H. W. Bush nominated him as chairman of the Joint Chiefs of Staff. He came to public attention for his leading role in the Persian Gulf War (1990–1991). George W. Bush appointed him secretary of state in 2001. 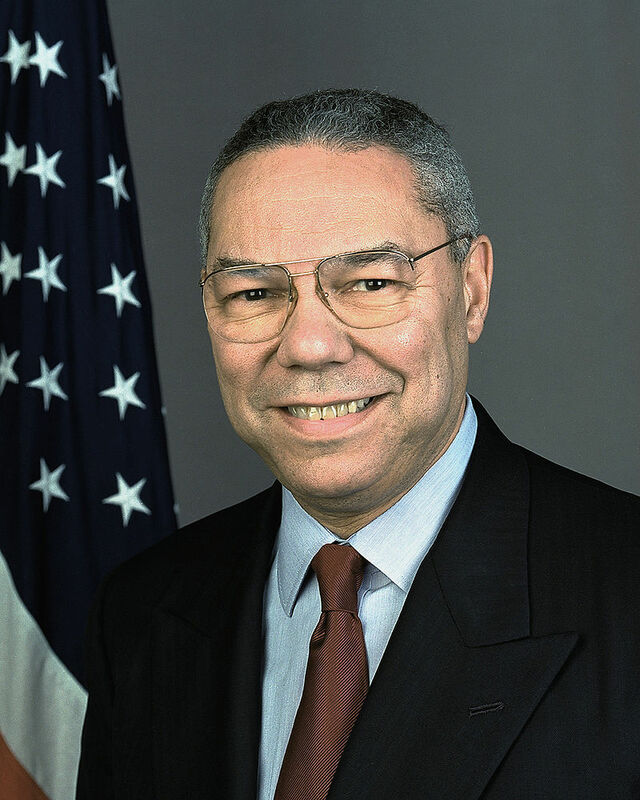 In 2003, Powell presented to the United Nations the American case for going to war with Iraq. He resigned at the conclusion of Bush’s first term.